One of the cool parts of my job has been to create opportunities for Makers and the wider public to come together and explore what has been created in hidden workshops and garages. Earlier this year, I was able to put together Mini Make Day, an event which brought the Makers together to showcase their work and talent, meeting with an interested public. If you would like to know more about that event, click here. 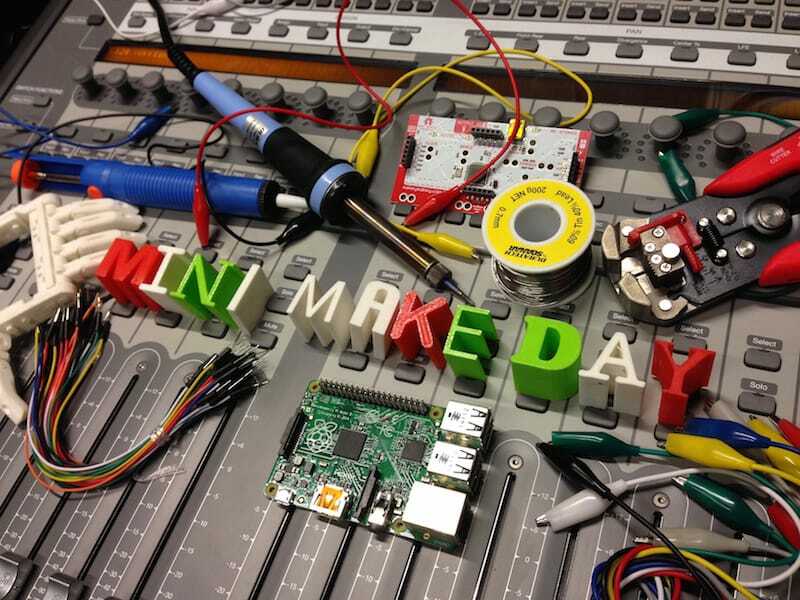 Now, Mini Make Day is back, part of Melbourne Knowledge Week. This time around the day is not only a chance to meet up with the wider Maker community, but will have a number of Keynote speakers (The Kosher Tony Stark himself will be talking about 3D printing), as well as workshops allowing attendees to get their hands dirty and learn some new skills. Grab your tickets, come down, and be a part of Mini Make Day at Library at The Dock. Eventbrite ticketing for Mini Make Day.